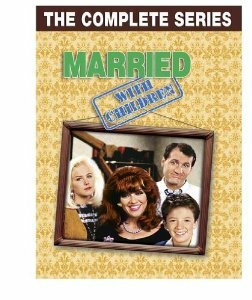 The Married With Children TV show was a 30 minute comedy series on the FOX Network about a totally dysfunctional family. Dad was a loser at nearly everything he did in life and at the apex of his career, found himself selling shoes to mostly fat women. Mom was a lazy, non-working, non-cooking, non-cleaning, soap opera watching, mall shopping, worthless female who constantly wanted to make "whoopee" with dad and he wanted nothing to do with it! Kelly was their totally brainless daughter who has no idea what the name of any U.S. President was, much less the current one. To her, a book is something you balance on your head in preparation for the beauty contest you will undoubtably lose when they ask you to answer any questions. Luckily for her, she was able to glide through life on her stunning good looks and her willingness to get physical with just about any male she ran into. Her brother was the only "almost" normal member of the family. His only real problems were dealing with the fact that he lived in a scumbag family and his never-ending desire to find a girl who would make him a man (and always failing). By: "Sammy Cohen and Jimmy Van Heusen"
Either somebody goofed or the Bundys moved up and down their street in Chicago, Illinois during Married With Children's eleven season run. Sometimes their address was shown to be 9674 Jeopardy Lane and other it was 9764! The house that was shown in the opening and closing sequences was actually located in Deerfield, Illinois. The fountain that is seen at the start of the credits is the Buckingham Fountain located in downtown Chicago. If you look closely, you can also see the Grizwald's green & brown station wagon in the opening sequence from the 1983 film, "Vacation". Most sources state that the "Baywatch TV Show" is the longest running series to have never won an Emmy. That's technically true because the time between Baywatch's first and last episodes was approximately 11 years and 8 months. Married With Children also never won an Emmy and its length was 10 years and 2 months. Married With Children, however, ran for 16 more episodes than Baywatch did so it had more opportunity to score an Emmy and, in my opinion, should get the distinction as the biggest Emmy loser of all time. The role as Al Bundy was first offered to comedian Sam Kinison. The role as Peg Bundy was first offered to Roseanne Barr. Don't you think that would have just been annoying screaming matches? There was no doubt, however, after Ed O'Neill auditioned for the role as Al Bundy that he was the right actor for the job. His audition required him to walk through the Bundy home's front door. Before Ed opened the door, he exhaled deeply and drooped his shoulders and looked like he was really dreading going home. The producers all agreed that he had a firm grasp on the part! 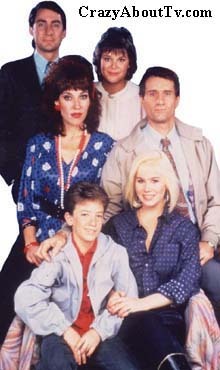 In the seventh season, the Bundy's adopted a seven-year-old boy named, "Seven" in order to give the writers some new potential storylines. The found it nearly impossible, however, to fit such a young child into the adult themes of Married With Children. The last time he was seen was in episode #146, "Peggy And The Pirates". Peg sent him to bed so she could attempt to make love to Al and that's the last audiences saw of him! He was mentioned three more times but no explanation of why he disappeared was ever given. At the end of the eleventh season, Fox decided to not renew Married With Children. Like so many wonderful executives, they didn't bother to notify the cast so they ended out getting the news from friends, TV, and fans. If you were a Married With Children fan, you may also have liked the series, "Unhappily Ever After". Several of the producers were the same on both series and the characters and storylines were very similar. The Complete Series on 32 Dvds! Thank you for visiting our Married With Children page!